Daniel Radcliffe proved on the October 28 edition of "The Tonight Show" that his talents go far beyond acting; Radcliffe's also a pretty great rapper, too. The 25-year-old will next appear in the Judd Apatow comedy "Trainwreck" in 2015. What's the rest of the cast up to these days? Since portraying sharp witch Hermione in the "Harry Potter" series, Emma Watson has broken away from the supernatural with roles grounded in the (mostly) real world. After "My Week With Marilyn," "The Perks of Being A Wallflower" and "The Bling Ring," the 24-year-old actress also showed her sense of humor in Seth Rogen's outlandish summer comedy, "This Is the End." She'll next appear in the 2015 thriller, "Regression." 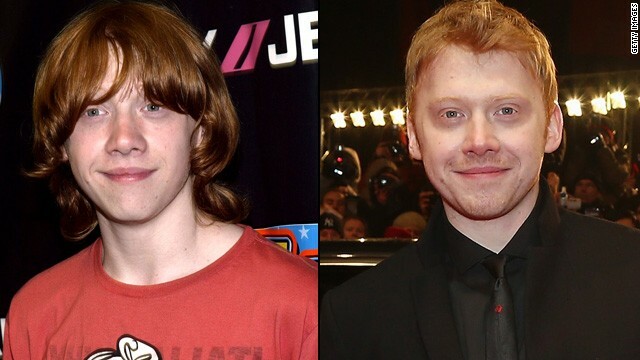 Rupert Grint kept it fairly low-key after he ended his 10-year run as one of Harry Potter's best friends, Ron Weasley. The 26-year-old took on a risky role with 2013's "CGBG" -- if you need proof that Grint's all grown-up, check out the trailer. 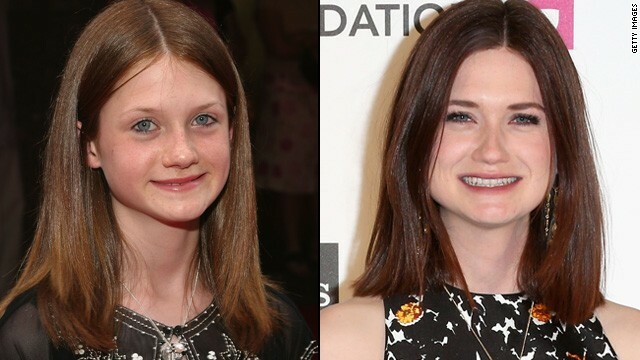 Bonnie Wright began playing Ginny Weasley at age 10, and since leaving the franchise has been on a steady diet of dramas. Wright appeared in "The Philosophers," followed by "Before I Sleep" with Tom Sizemore. 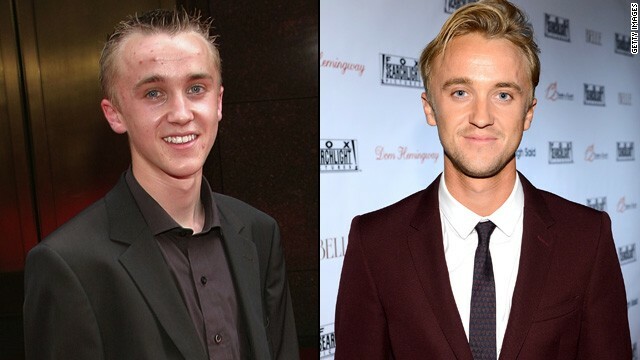 Just enough time has passed for us to stop cringing at the sight of Tom Felton, who came to be known as the weakling bully Draco Malfoy. Even while working on the "Potter" franchise, Felton dabbled in other films, like "The Disappeared" and "Get Him to the Greek." Felton has been busy since "Potter" wrapped, and appeared in the World War II movie "Ghosts of the Pacific" and the TNT cop drama "Murder in the First." 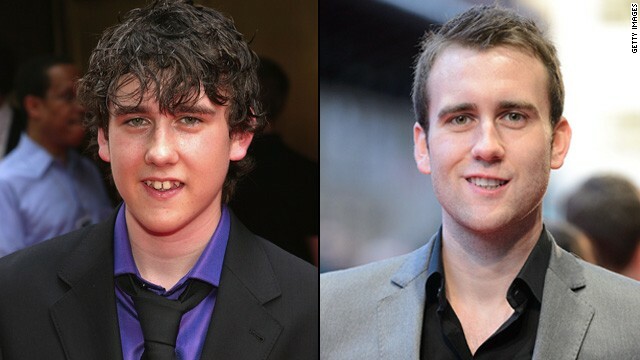 By the time the "Potter" movies wrapped, Matthew Lewis -- and his character, Neville Longbottom -- had morphed into quite the charming young man. Now 25, Lewis initially migrated over to TV for a spell with "The Syndicate" and "Bluestone 42." The brothers who played the elder Weasleys -- George and Fred -- don't have the trademark ginger hair anymore, but they're still recognizable as the prankster pair. 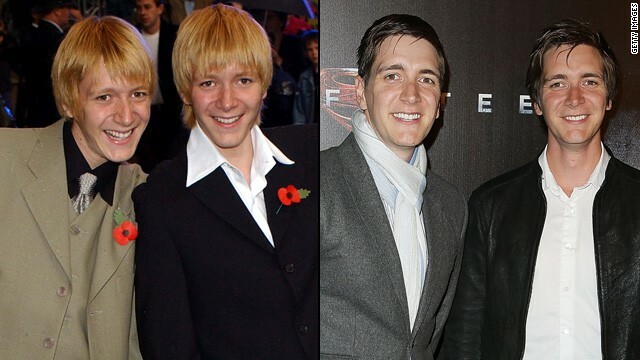 James (left) and Oliver Phelps are still happy to talk all things "Potter," even as they move on to other endeavors. James has been active on stage, and Oliver has been traveling in support of his website, JopWorld.com. Evanna Lynch's Luna Lovegood showed up halfway through the "Potter" saga, but her character was so wonderfully strange she's easily among the most memorable. And if there's anyone who's eager for the "Harry Potter" spinoff films, it's Lynch: "Maybe 'Fantastic Beasts' will turn into a long ting like HP did & I can play Luna as an old lady?" she tweeted. 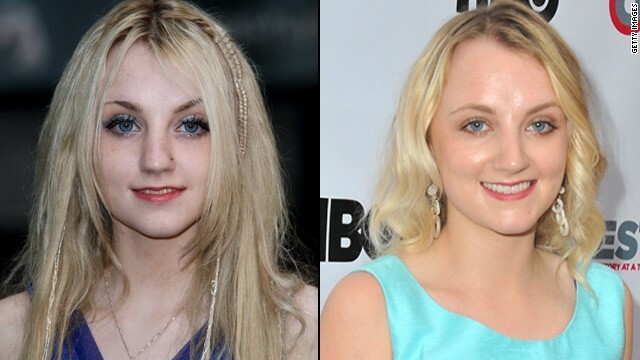 "Even if I'm too old to play Luna, can I go through 10 hours prosthetics to play a crumple-horned-snorkack. Please??" 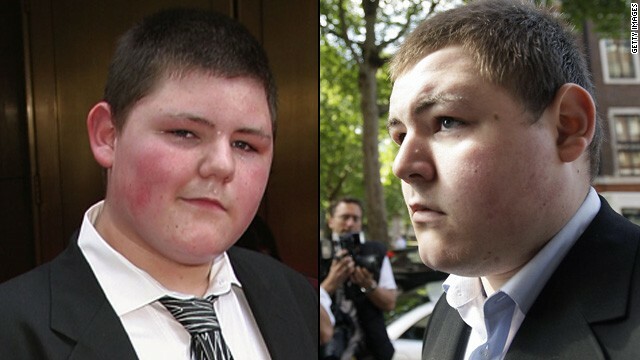 Jamie Waylett's Vincent Crabbe appeared in the first half of the franchise, and life post-"Potter" hasn't been so easy for the actor. In May 2012, he was sentenced to two years in jail for his participation in the 2011 London riots. 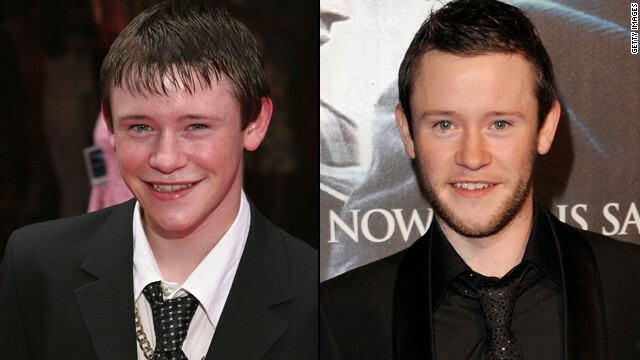 Devon Murray's Seamus Finnigan was an easy character to love, and fans have missed seeing Murray (and hearing his accent) on the big screen. 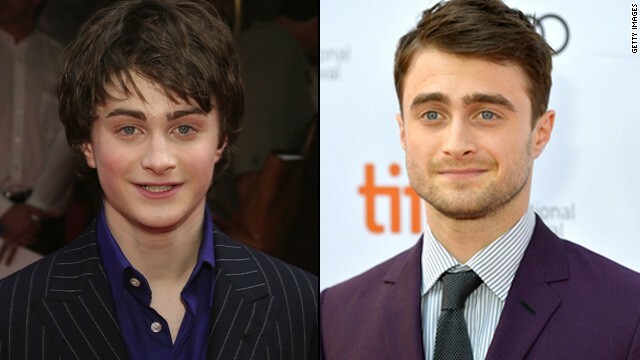 The 26-year-old actor assured a supporter from his unverified Twitter account in late September 2013 that he's "been offered a lead role in a new movie so could be seeing my mug soon :)"
Rowling: Ron and Hermione would have needed "relationship counseling"
(CNN) -- If anyone here feels Ron and Hermione should not be united in holy matrimony, speak now or forever hold your peace. Well, guess who's got a problem -- seven years later. Author JK Rowling, the woman who dreamed up the pair and turned them into two of the most recognized figures in literature, is now throwing cold water on the central romance in the gazillion-selling Harry Potter series. Rowling now says she should have paired Hermoine Granger with Harry Potter, instead of his bud Ron Weasley. Ron and Hermione would have needed relationship counseling. What the what??!! The Wonderland issue doesn't come out until Thursday. But Britain's Sunday Times published excerpts of the interview in a front-page story, "JK admits Hermione should have wed Harry." "I wrote the Hermione/Ron relationship as a form of wish fulfillment. That's how it was conceived, really," Rowling says in the interview. "For reasons that have very little to do with literature and far more to do with me clinging to the plot as I first imagined it, Hermione ended up with Ron." "I know, I'm sorry," she adds. "I can hear the rage and fury it might cause some fans, but if I'm absolutely honest, distance has given me perspective on that. It was a choice I made for very personal reasons, not for reasons of credibility. Am I breaking people's hearts by saying this? I hope not." And what did the fictional Mrs. Weasley have to say about all this? She agrees! "I think there are fans out there who know that too and who wonder whether Ron would have really been able to make her happy," Watson says in the interview. Say it isn't so, howled Potter fans on Mugglenet.com (which bills itself as the world's No. 1 Harry Potter site). "WHAT??? I am heartbroken!," commented someone named "ana." "Ron and Hermione's relationship is wonderful because it is FAR from perfect at the beginning of the series and slowly (and ingeniously) develops into my favorite couple in the whole series! I could go on for days about why I love them." But the we-told-you-so side also came out in force. "Hermione deserved someone better. Ron would have been insecure and it would not have been a healthy relationship," said a commenter who goes by the name "militant delusionalist." "Harry had always said good things about Hermione and both of them being powerful wizards and brought up as muggles would have made them compatible." Hermione meets Ron in the first book of the series, "Harry Potter and the Philosopher's Stone," when he and Harry save her from a mountain troll. We learned of the pair getting hitched in the epilogue of the seventh and final book -- "Harry Potter and the Deathly Hallows," published in 2007. The couple even have two kids, Rose and Hugo. Not quite. Not even before Rowling delivered this latest bombshell. Two years ago, she said she once considered offing Ron altogether. "In my absolute heart of hearts of hearts -- although I did seriously consider killing ... Ron."